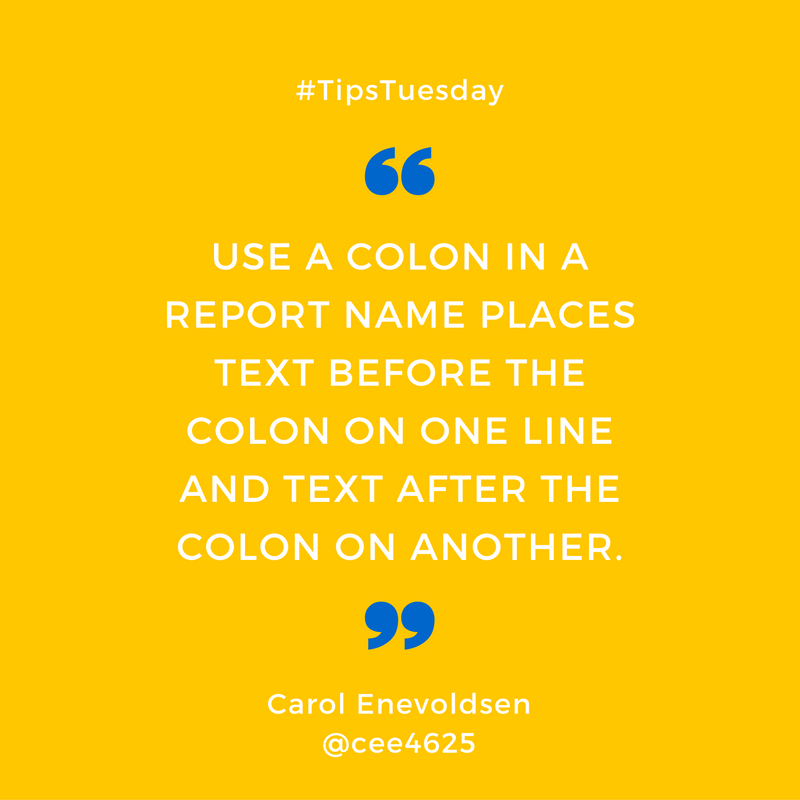 This tip is a quote from Salesforce success community #TipsTuesday "Using a colon in a report name places text before the colon on one line and text after the colon on another. 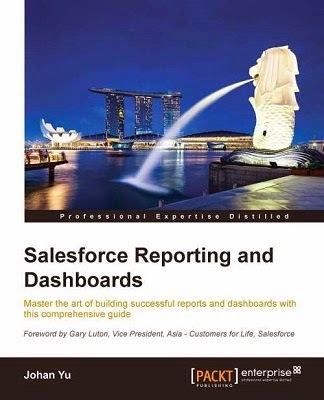 This looks nicer and keeps reports with different names that need to be together, sorted together." 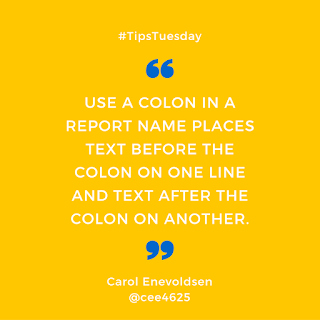 To keep this awesome tips, I share the tip with everyone from my blog and not buried in the forest of success community. 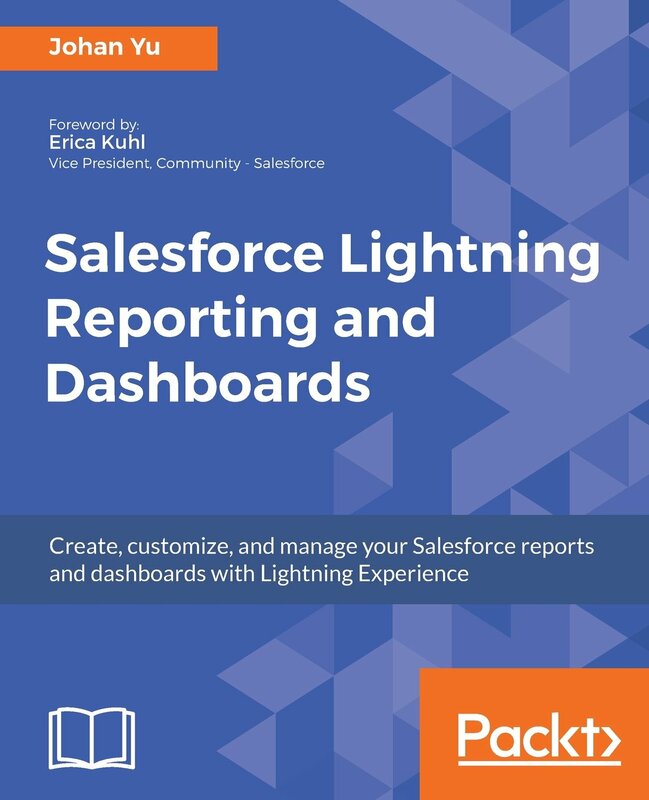 Here is normal Salesforce report naming. When we add: in the report name, this is how it looks like when you or your user run the report, notice the different. Let's look how we save it from Report Properties. 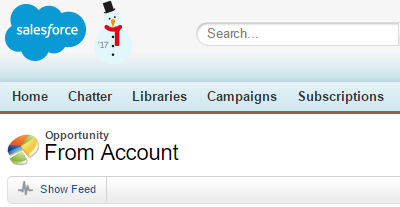 - this tip is not applicable to Dashboard.